83mm Quality Hardwood Golf Tee. Our finest quality, shiny wooden golf tees in a choice of colours in two popular sizes. These wooden tees are a quality product made from the finest White Birch, available in a number of colours. 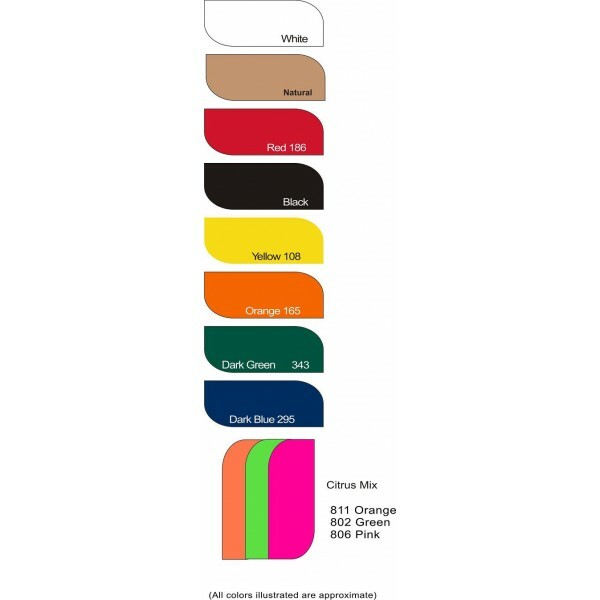 Perfect for the environment, these coloured wooden golf tees are biodegradable. 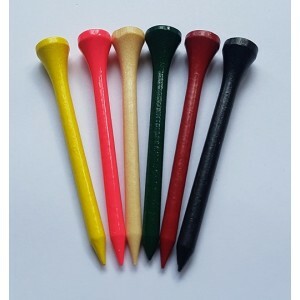 Most popular colours are white golf tees, natural golf tees, black golf tees, red golf tees, yellow golf tees, orange golf tees, blue golf tees and green golf tees. Note normal lead time is 2 to 4 weeks. If you require this product quicker we can discuss part shipping or full shipping faster for an additional fee which can only be quoted at the time.